This chapter aims to enrich knowledge and open discussion towards employing the emerging technologies in educational settings particularly in developing countries such as Saudi Arabia. To shed light on this topic, the chapter introduces emerging technologies and their importance to the educational field. It also elaborates and discusses various issues surrounding the employment of emerging technologies, at the organizational and individual levels. In addition, it clarifies the roles of those involved in the educational settings such as decision makers, educators, and users of technologies in order to enable them to employ and use technology in educational settings optimally. 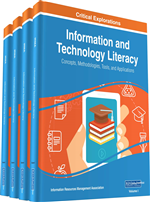 Moreover, the chapter illustrates the different challenges that might hinder the integration of technology in the field of education. Finally, exploring the future of employing emerging technologies will be addressed in this chapter by developing strategies and recommendations that should be considered as crucial factors for employing and integrating technologies in the educational settings. Emerging technologies (ET) today are one of the most important drivers of the educational process and are relied upon by many academics, educators and students in various educational institutions. These technologies have emerged and developed after great development and progress in the field of science and technology, which in turn represented a significant addition to the field of education. These technologies mean all the new innovations which help to perform the functions of all educational activities. Haag, Cunnings, and James (1998), identified that technologies “fall within two categories as follows: A technology that is so new that most businesses have not exploited it yet, or a technology that is fairly well established, but business has not fully exploited it” (p. 264). Some of the technological innovations of many emerging technologies that can be used in the field of education are those innovations that have enhanced the learning process and have achieved a competitive advantage in this field, which in turn facilitate the ability of the learner and the teacher through the learning process, improve the nature of the learning process, promote the process participation and interaction in the learning environment, save a lot of time and effort, and achieve the learning process at any time and from any location. These technologies are now adopting the latest technology in multimedia, communication and information systems, and in this context, Nooriafshar (2012), indicates that “the latest innovation of technology that can be used in education focus on the need, and require an Internet connection” (p. 5). In fact, emerging technologies emerged as a result of rapid developments resulting from the revolution in information and communication technologies in particular, which in turn produced many technological distinctive innovations which are considered as an addition to the educational process, that develops constantly and brings greater features and attributes for the field of education and people who work in it. Emerging technology has evolved significantly from the use of radio and TV, to deliver distance education. According to Dede (2002), technology of education could be classified into three interface categories desktop, wireless, and multi-users virtual environments interfaces. Accordingly, emerging technologies have added a lot of scientific and practical dimensions to the field of education in general and its employees and beneficiaries in particular. By employing these technologies and technical innovations, much of the earned knowledge and skills, as well as a lot of behaviors that players have, will have an impact on the process of learning and the educational field. The strengthened role of the dimensions of the knowledge and skills facilitated the learning process. In addition, it added a practical dimension to reformulate the educational process in terms of policies, strategies, programs, criteria and several indicators, which in turn added a great deal of competition among many educational institutions. On the other hand, learning environments are still in urgent need to employ such technological innovations, especially emerging technologies to help these environments to perform their roles and educational processes, which is one of the main pillars of learning, as long as such environments are characterized by quality, and they utilize all the new tools and means of modern technologies, which will reflect on the learning process and will benefit learners of that process. To emphasize the importance of technology in the educational environment, there should be an adjustment between the community and technology, therefore, technology today allows society to adapt to that environment (Healey, 2004). To employ these emerging technologies in different learning environments, it is important to recognize those that match learners and users of those technologies, which is characteristic of people involved during this era where students and teachers alike are characterized by a capacity horizon wide and a higher perception towards the use and recruitment of these emerging technologies, due to the growth of knowledge which are made available to them through various media technologies, as it assigns great importance to the employment of such technological innovations. This is the most important factor to achieve this transformation of knowledge and skills, as well as to provide environments, make these technologies available and spread rapidly the skills needed to deal with such emerging technologies in terms of design, development and use (Angehrn & Nabeth, 1997).